Our faculty members are renowned researchers in their laboratories and award-winning educators in the classroom. They teach both introductory and advanced biochemistry courses to undergraduate and graduate students. Their research interests span cellular regulation, molecular genetics, protein structure, hormone action, virology, biology, and much more. 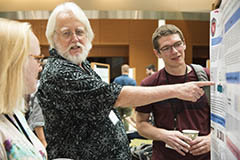 In their labs, they oversee and mentor diverse groups of undergraduate researchers, graduate students, postdoctoral fellows, and staff scientists. During their tenure, faculty members expand the scientific knowledge within their field and often earn the status of Emeritus Professor. 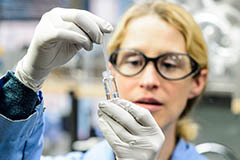 These faculty members made substantial contributions in areas of biochemistry that encompass important basic research, as well as nutrition and human health. Their rich history lives on in their Emeritus status. 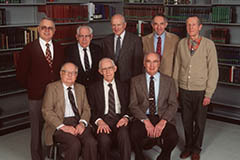 Many of them are still involved in research or contribute to projects that work to preserve the history of science in the Department of Biochemistry.